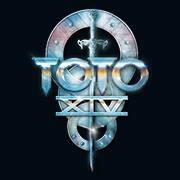 Toto XIV was the biggest album for the band in over two decades, hitting the top ten in nine countries and becoming their first charting album in the U.S. and the U.K. since 1988. They are following up their 2015 North American and European dates, including a number of cities on a co-headlining run with Yes. There’s no place like home, particularly after 4 months on the road. The past two years reunion with Toto has been one of the sweetest experiences, and greatest honors of my life. All good things must come to an end however. I no longer have the stamina and resilience required for extended touring, and I do need to figure out what I want to be when I grow up. Much gratitude to the fans and friends who have supported the band over the years, and to my brothers in Toto… I can never thank you adequately for the music, the laughs and the friendship going back 40 years. Love and happy trails to you all. The rest of Toto said "We would like to express HUGE love and gratitude to or brother David Hungate for his gifted playing, his amazing professionalism and good humor. It was awesome having you back these last two years and we will cherish the memories. You have not seen the last of us. Stay well brother."